Crisps are a sort of soul food for the Brits. 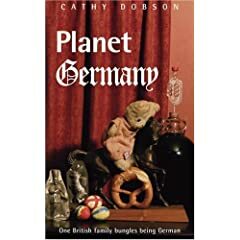 We take them on picnics, we order them in the pub with our beer, we nibble on them in front of the TV and hand them out to our children to keep them going until lunchtime. And British crisps come in all kinds of fabulous flavours. Salt and vinegar, cheese and onion, Worcestershire sauce (Americans – that’s pronounced Wuster), prawn cocktail, smokey bacon…. When I first arrived in Germany the crisp scene was dismal. There were two sorts of crisps. Plain or paprika. For about the first fifteen years of living here, nothing much changed. Oh, there were launches of other snack types… Pringles and Nachos and things… but real crisps with added flavours still remained a rarity – and any attempt at copying a gutsy taste like salt and vinegar had to be watered down for the German palate (balsemic vinegar and sea salt… it just doesn’t come close!). So imagine my surprised and delight when I discovered the Germans starting to experiment with creating their VERY OWN crisp culture. A big round of applause ladies and gentlemen, for the first all-German flavoured crisp! 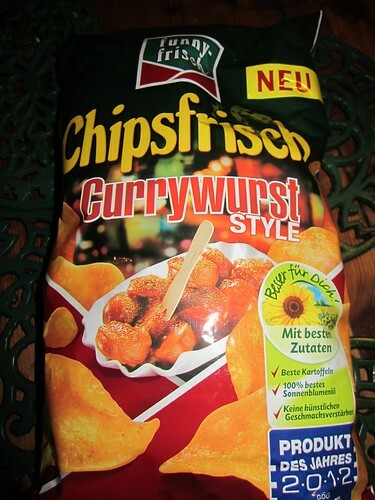 Currywurst crisps! Soul food for Germans? Read on to learn how to easily make your own Salt & Vinegar Potato Chips at home! Forget about spending $4.00 on a bag of greasy, unhealthy, preservative ridden chips. This recipe is ideal for those who like their chips a certain way. You can choose to have them crispy or slightly chewy. You choose the level of salt and the level of seasonings.